will brighten every corner of your garden! which include annuals, biennials, and both tender and hardy perennials. 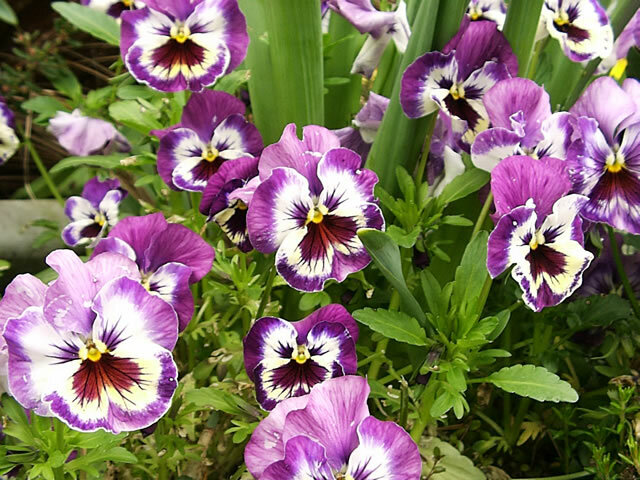 The Canadian Violet, Viola canadensis, forms rounded 12" clumps of heart shaped leaves. 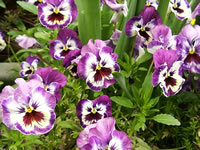 Pansys, Viola x wittrockiana, are cool weather annual plants that typically grow 6"-9" tall. They produce 2"-4", sometimes ruffled, solid or multi-colored flowers through the spring and into summer. Most species of Violets grow best in full sun, provided that they recieve sufficient moisture. They will tolerate periods of shade throughout the day. In hot regions, they should only be planted where they will receive light shade. 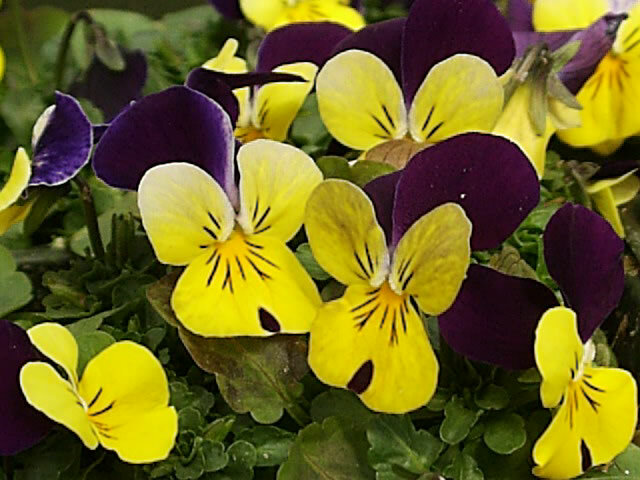 Viola odorata should only be grown in partial shade in most regions, and in full shade in hot climates. All Violas prefer moist, rich, well-drained soil. Mulch them in the summer to keep the soil cool and moist. Fertilize sparingly when the first flowers begin to form. Viola seeds require darkness for germination so be sure to cover them well! Seeds can be sown directly into the garden at anytime from spring through fall. Fall planted seeds will germinate the following spring. Violet seeds can be started indoors at mid winter. You may want to sow your seeds in moistened growing medium and place the covered flat in your refrigerator for several days prior to germination for faster results, but this step is not required. Germination will take from 10 to 20 days.